Celebrate Ohio while shopping local with Winans Chocolates! This assortment includes our 8oz. 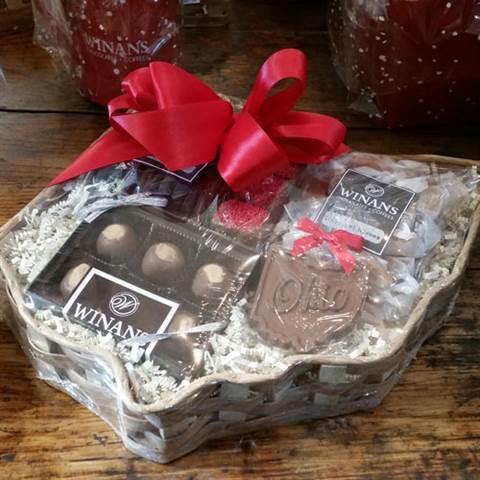 bag of chocolate-covered wetzels, 8oz. bag of karamel kisses, 3pc. 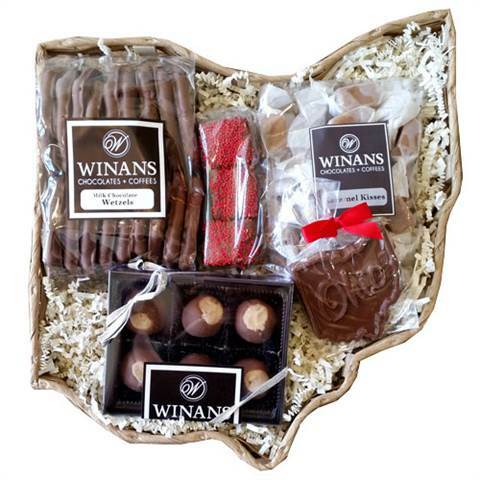 chocolate-covered rice krispies, an ohio themed chocolate bar and a 6pc. 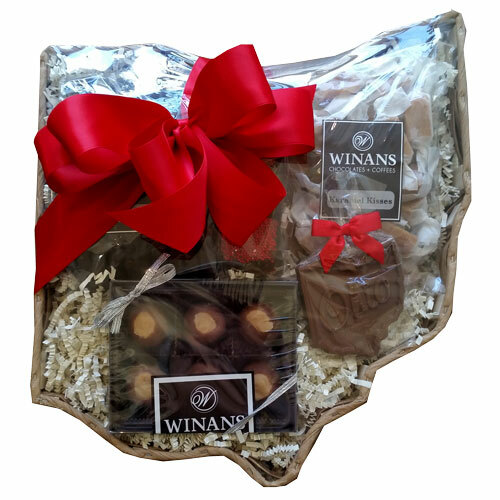 box of buckeyes all bundled together in a chic Ohio shaped basket. Arrives wrapped in cello with a festive ribbon and card.